“Domains” are the top-level classification which categorizes life in the most general way. For example, it separates the presence of a nucleus. Prokaryotes like archaea and bacteria don’t have one. But eukarya have a nucleus. But there’s a bit more to it than that. 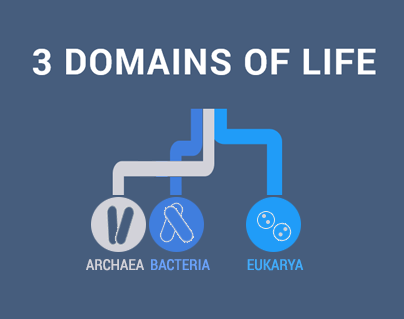 Here’s more differences between the 3 domains of life. 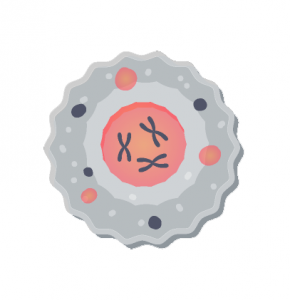 Eukaryotic cells have a nucleus that houses chromosomes and DNA. Furthermore, eukarya have organelle like mitochondria and chloroplasts all within a cell membrane. Even though single cell eukarya exist, eukaryotes are mostly multicellular. For example, the plant and animal kingdoms are mostly multicellular. On the other hand, the protozoa, fungi and algae kingdoms have unicellular eukarya. Eukarya are resistant to traditional antibiotics. And finally, eukarya allay don’t have peptidoglycan which exists in bacteria. This protects their envelope and maintain its shape. Bacteria don’t have any cell organelles and are without a nucleus (prokaryotes). If you break down the word prokaryote, “pro” means “before” and “karyote” means “nucleus”. So by definition, prokaryotes have existed long before the evolution of a nucleus (such as those found in eukarya). Bacteria cover a large group of unicellular microorganisms. These single cell organisms are tiny and not visible to the naked eye. 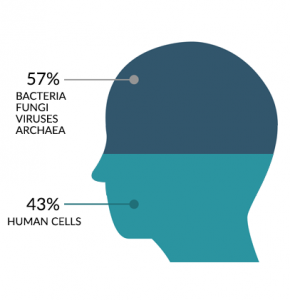 There’s at least 100 trillion bacteria in your body (or around it) at any given moment. Peptidoglycan is in the cell wall of bacteria which is an essential component of the their cell envelope. This feature can only be found in bacteria. Finally, If you’ve ever taken antibiotics, then you’d know that bacteria are sensitive to this type of medicine. It’s been specifically designed to destroy or slow down the growth of bacteria. Archaea make up a group of the first organisms to appear on Earth. We know this because they are used to extreme environments like those during the early Earth. For example, Earth was blasted by UV radiation because it didn’t fully develop an atmosphere yet. Thermophiles live in extreme temperatures. Next, halofiles reside in salty environments. Thirdly, methanogenes produce methane gas. 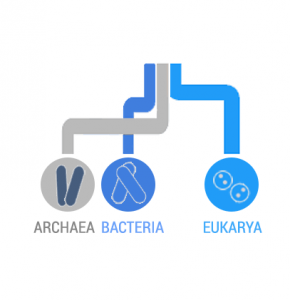 As for their anatomy, Archaea resembles features of both eukarya and bacteria. For example, they are single-cell, have no nucleus and look like bacteria for structure. Hence their close relation to bacteria. But they also carry features of eukarya. For example, they don’t have peptidoglycan developed their cell envelope. On top of that, they are resistant to antibiotics like eukarya. Whereas, antibiotics would flat-out destroy bacteria.